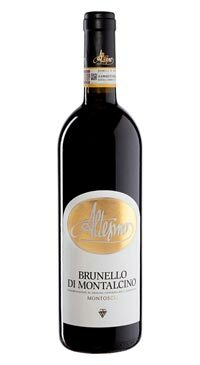 Altesino is a leader in Brunello di Montalcino production and has become a reference point for the entire territory. They helped put Montalcino on the world wine map for quality wine producers with the introduction of the “Cru“ concept with the Montosoli vineyard in 1975. They were the first to experiment with barriques in 1979 and offered the first `Futures` (purchasing wine before release) for Brunello in 1985. Montosoli is a 5 hectare vineyard to the north east of Montalcino at an altitude between 350 and 400 metres. The composition of the soil (marly limestone and siliceous limestone representing the Alberese era with lithoid components dating from the same period), the unique position and particular microclimate contribute to ageing the grapes which produce an extremely complex and elegant wine. The wine ages for the required 4 years before release; a minimum of two years in Slavonian oak barrels, about 4 months in medium toast Allier barriques and four months in bottle. Brunello Montosoli has a deep ruby red colour which turns a garnet red with age. Its bouquet has outstanding character with hints of black cherry, blackberries, raspberries, violet, liquorice, vanilla and a slight accent of pink peppercorn. On the palate it reveals a dry, warm, velvety flavour, rich in substance and noble pedigree, ending with a warm note that lingers persuasively.